You could go all over the web and find at least 1 user arguing his phone is the best. Youtube, Google+ and... well. even Starbucks has them. Everyone pretty much says their phone is the best. The 2 main contenders for your electronic heart are Android and iOS. Now, in my opinion I couldn't say which one was better. Because both have their flaws and pros. But it doesn't matter anyways, because my lifestyle needs are vastly different from everyone else. Why? Simply put; neither is better, because "better"'s definition changes from user to user. Maybe by a small detail or maybe by a large one. Sure there are "standards" and such. But standards don't overrule personal opinion and judgment. If I said the Galaxy S3 looked too cheap and ugly to me. I doubt everyone would agree, for one reason it was the most popular smartphone last year. So you have to really look at who the phone is for to begin with, if you are going to choose your personal champion. Apples brainchild. iOS is the mobile operating system that runs on the iPhone, and only the iPhone. The person that this phone is made for seems to be the first time smartphone kind, the Apple ecosystem fanatic or the simple design aspect. With iOS, everything has a place, and everything is in its place. Boxes filled with your personally curated applications. Nothing different than what you want. The great thing about the iPhone is that if you have a mac, you should have the easiest time adding an iPhone into your tech family. It syncs great with all your Apple products, and it's simple to learn. To top it off, it's got just the right amount of graphics and speed since Apple only allows minimal apps onto the store. AKA if the shoe fits. The final decision? Do you want and/or need a simple no-nonsense phone? Easy to use and one size fits all? Do you already have an iPad, iPod or other Apple product? Then great! Grab the iPhone! It's a great productivity tool that supports your needs! Now personally this is my favorite choice. But you will see why as you read along. The android, Google's adopted child. 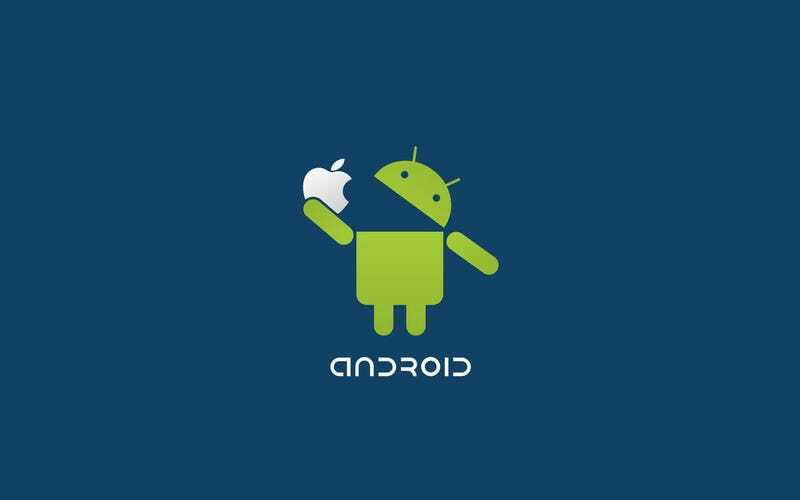 The thing that sets Android apart from iOS is simple. It does everything the opposite of iOS. Not all the way, but mostly. Where iOS is one size fits all, Android is not. Reason being is that Android is an Open Source operating system. That means any phone manufacturer can come along and slap it into their phone. While changing it up a little or a lot. Since this is the case, where there is only one iPhone. There are many, many, many Android phones. One for every size. Some 7 inches and some 4 and below. Whatever size suits you. Android can be a little complicated. Well... it just depends. Where iOS has only enough screens as you need: Android has a different formula. Whatever you want. You could have icons wherever on the screen, no set place. You could have a clock on your screen or a stock ticker. Android lets the user decide how they want to organize their life or phone. You could even make it look exactly like iOS. Crazy. With Android anyone including you, could make a new fully flashable version of Android. So who is this for? Well,it's for the Google user by far. And for whoever hates the rigidness of the iPhone and wants more movement or screen size. Or expandable batteries and expandable storage. It's for the customizing user. So... which one is better? Neither. "Then why do people argue over it?" Who knows, it is their opinion. I always say it's whatever you like the best and works for you and your lifestyle. Simple or crazy. Steady or speedy. It's up to you. Both are amazing productivity machines, and both will vastly improve your everyday work life.